The word Reiki is a Japanese word that directly translated means Spiritual / Divine Energy. Many have translated this to mean Life Force Energy or Universal Life Force Energy. Keeping it simple, they all mean the same thing. You may have also heard of Ki or Chi again all referring to the same energy that permeates everything. 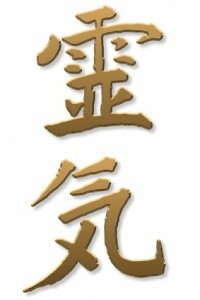 Reiki is also a name that has been given to a practice that originated from Japan in the 1900s. A practice that supports healing and personal spiritual development. Reiki as a practice was a path to self discovery or spiritual enlightenment. The bi-product of this practice was the ability to connect with the universal life force / spiritual energy and channel it, enabling those who practised to use this energy on themselves or others. When Reiki made its way to the West by a lady called Hawayo Takata it began to change to what has now become most commonly known as a hands on healing therapy. This has meant that we can experience Reiki in two ways. Many people are astounded to hear that you can learn Reiki to use on yourself, but as stated above, the hands on healing aspect of Reiki for others was a bi-product of learning this personal development system. Reiki as a Therapy is straightforward and simple, it promotes self-healing. Reiki is given by the practitioner by simply laying hands on or off the recipient, the Reiki energy flows through the practitioner into the recipient, with the intention that the recipient receives all that they need at this time. By the practitioner setting this intent, the Reiki energy will guide the practitioner to where energy is needed, enabling the energy to work on mind, body and spirit for the recipient. Learning Reiki is also very straightforward and simple. It can be learnt by anyone, to use on themselves or others. However, it is not learnt in the same way as other therapies. Everything that you see and don’t see has energy, it is all encompassing and permeates everything. The most difficult part is that while it may seem invisible or elusive, it is the fuel of everything, especially human beings. It is the energy of everything with no religion or sect. The most amazing thing, is that when we accept this and allow ourselves to truly connect to this unlimited source of energy, we can improve our overall wellbeing and vitality, and at the same time lose the worries, fears, frustrations and anger that we have a habit of holding onto. Unfortunately, no amount of words or descriptions can truly encapsulate what Reiki energy really is. It simply has to be experienced. Even once it has been experienced it can still leave people bewildered. It can be difficult to comprehend how something that seems so simple can be so powerful.